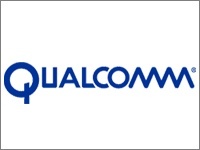 Qualcomm Incorporated (NASDAQ: QCOM) today announced that it has posted security bonds totaling €1.34 billion (Euros). The bonds are required for Qualcomm to be able to enforce the remedies ordered by the Court on December 20, 2018, after the Court found that Apple (NASDAQ: AAPL) is infringing Qualcomm's patented power savings technology used in smartphones. Apple was ordered to cease the sale, offer for sale and importation for sale of all infringing iPhones in Germany. The Court also ordered Apple to recall infringing iPhones from third party resellers in Germany.